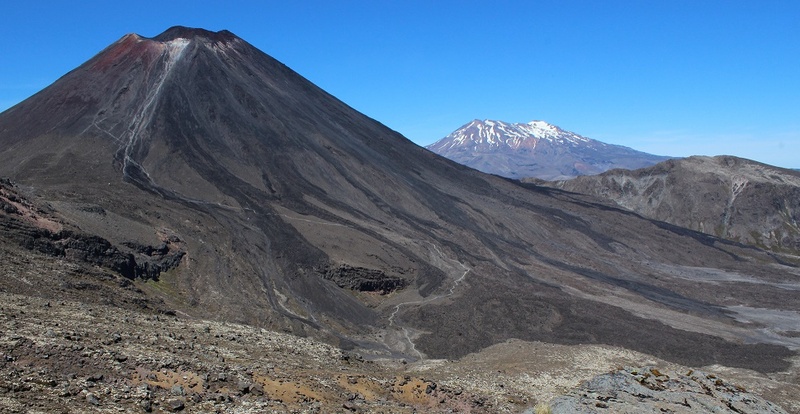 Enjoy the famous Tongariro Alpine Crossing with a private guide from Adrift Tongariro. This 19km trek is New Zealand’s best day one-day walk. The track leads up to the saddle between Mt. Ngauruhoe and Mt. Tongariro. The landscape on Tongariro is peppered with the different coloured and shaped craters that have been active at different periods, scoured volcanic rocks, mountain springs, and brightly coloured emerald lakes. Our privately guided trips provide you with a really personal, informative and friendly experience you will never forget. The beautiful scenery does a lot of the work for us but we have tailored this trip your group is private to you, your guides are well informed and keep you safe by constantly assessing the weather and track conditions, timing for your Ketetahi personalised transport pick-up, and other little details that will maximise your enjoyment. They can also tailor the trip to accommodate different fitness levels and avoid weather-exposed sections or crowded areas. Winter offers the opportunity to walk through the magnificent snow-covered landscape without the summer crowds. No outdoor experience is necessary, all training and tuition is given on the day. Crampons and ice-axes are supplied by Adrift Tongariro for a fantastic alpine experience. This is a Tongariro Alpine guided tour. We do not guarantee reaching the Ketatahi end. Safety regarding, weather, avalanche, ice and hypothermia are taken into consideration when securing our exact route for the day. Please note: A minimum of two people are required to offer this private tour. Subsequent bookings over and above two people can book at the standard premium tour rate. A reasonably good level of fitness is required. If you are concerned about your fitness please let your guide know before commencing the walk, as there are options we can discuss with you. Walking time is about 7 hours including stops. No alpine experience is required.